With the 75th anniversary of Citizen Kane in May 2016, Harlan Lebo has written the full story of Orson Welles's masterpiece film. The book explores Welles's meteoric rise to stardom in New York and the real reason behind his arrival in Hollywood and unprecedented contract with RKO Studios for total creative control. It also delves into the dispute over who wrote the script; the mystery of the 'lost' final script; and the plot by Hearst to destroy Welles's project through blackmail, media manipulation, and other tactics. The author finally examines the surprising emergence of Citizen Kane as an enduring masterpiece. 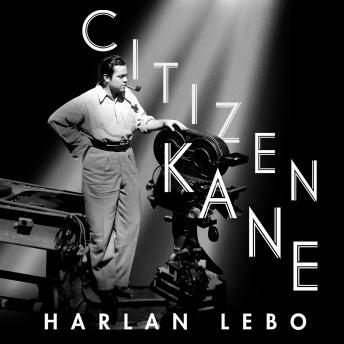 Using previously unpublished material from studio files and the Hearst organization, exclusive interviews with the last surviving members of the cast and crew, and what may be the only surviving copy of the 'lost' final script of the film, Citizen Kane: A Filmmaker's Journey recounts the making of one of the most famous films in Hollywood history.